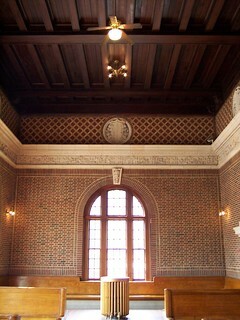 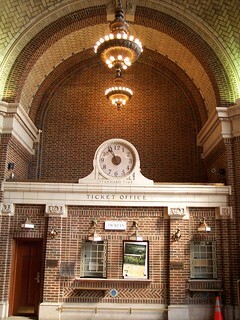 The ticketing area and waiting room. 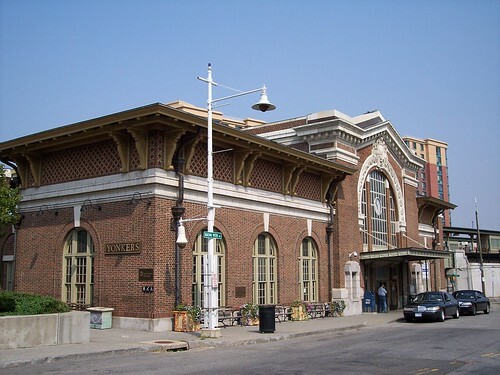 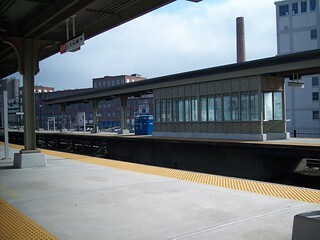 The Yonkers station has two high level island platforms to serve all tracks. 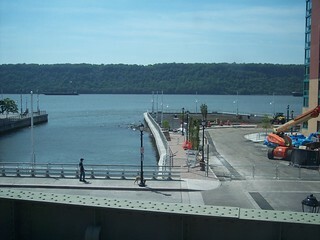 The Hudson River can be seen below the station. 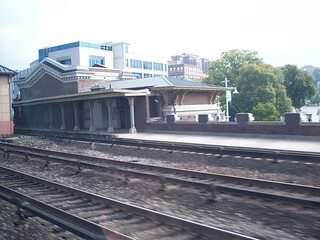 There is also an old low level platform behind the station building, but this platform is no longer used.